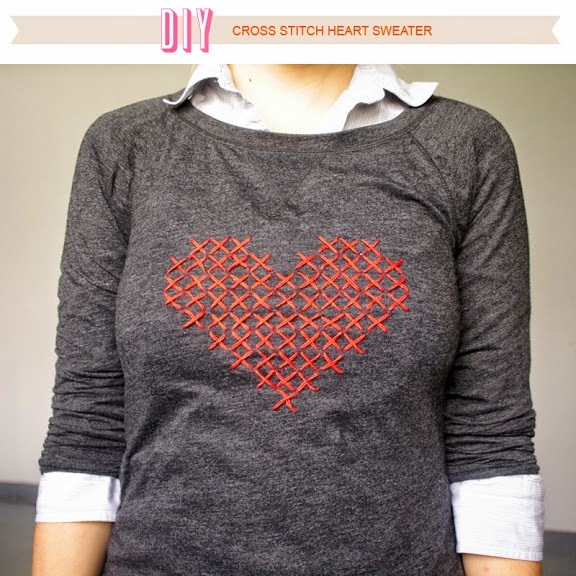 Up next on Cute Crafty Things is this sweet and simple Cross-Stitched Heart Sweater by Über Chic for Cheap. Inspired by J.Crew, this style DIY doesn't use anything more than a long-sleeve tee/sweater, a sheet of paper, some pins, embroidery floss, a large needle and some water in a spray bottle (optional). So... this project is so simple that you probably have all of these things at home already! Click here for the full DIY tutorial and templates by Über Chic for Cheap. Are you a style DIY enthusiast? We'd love to hear about your favourite projects in the comments below!